Trevor's need to guard and protect is born of tragedy, prompting his decision to become a search and rescue volunteer. Natalie's gift of sculpting comes from an unusual disability that seeks release through her creative hands. In each other they see strength and courage as they face an incomprehensible foe. When a troubled soul views Trevor as archangel and adversary, Redford's peaceful mountain community is threatened. Together with Police Chief Jonah Westfall, Trevor presses his limits to combat the menace who targets the most helpless and innocent. Great Narrator.... Storyline, Not So Much! Kirsten Potter is one of my most favorite female narrators, but she could not elevate this story. As a matter of fact, I could hardly believe that she agreed to read this sappy, other worldly mumbo-jumbo. I really struggled with listening to this story which seemed to go in circles. The opening scene was very interesting and had promise of developing into a really good mystery/suspense. The back stories about the two main characters was really interesting and their back stories supported why and how they became who they are today: a gifted sculptor with a photographic "eidetic" memory like Dustin Hoffman's Rain Man and a high country outfitter who is also a search and rescue volunteer. I don't mind stories which have "other-worldly" themes, but I struggled with the villain passages which I understand was an attempt to parallel the villain in Milton's Paradise Lost. But the scenes was overwhelmingly frustrating and confusing for me. This one was not for me. I was bored and could not finish.... didn't really care what happened or what the outcome would be. Also this is the sequel to the first novel by this author called Indivisible. There should be a warning/disclaimer that this novel is a sequel. So many twists and mind games. Each time you think you have it figured out, you find out you don't. 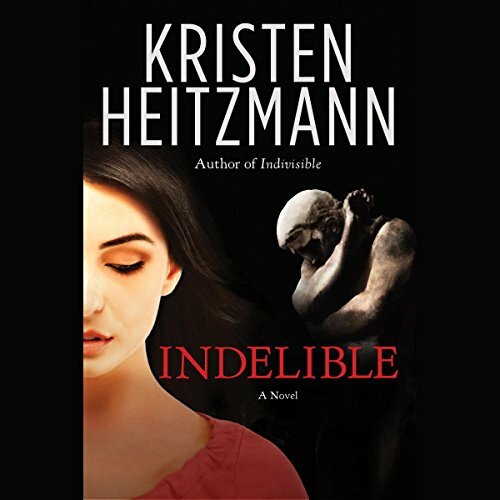 Heitzmann weaves a tale with rich characters and an unexpected story line. Easy to fall into this read with a voracious appetite for more! Fascinating, likable characters...except for one. Sequel, but just slightly. Ended needing one more sequel. I'll be looking. I was intrigued by the story premis, but greatly disappointed. The characters developed through mela-dramatic soliloquy. I get more than enough egoic drama in the office, not interested in the ridiculousness while listening to a novel.